An overcast morning in Cowley sees Oxford’s Truck Store packed with far more people than its usual turnout. The house music fades and suddenly we hear a gruff ‘excuse me, guys’ as Michael Kiwanuka picks his way through the 50-strong crowd crammed into the store, guitar in hand, before climbing up onto the postage-stamp sized stage, as casually and as humbly as if he were a busker who had just stepped off the street corner outside. 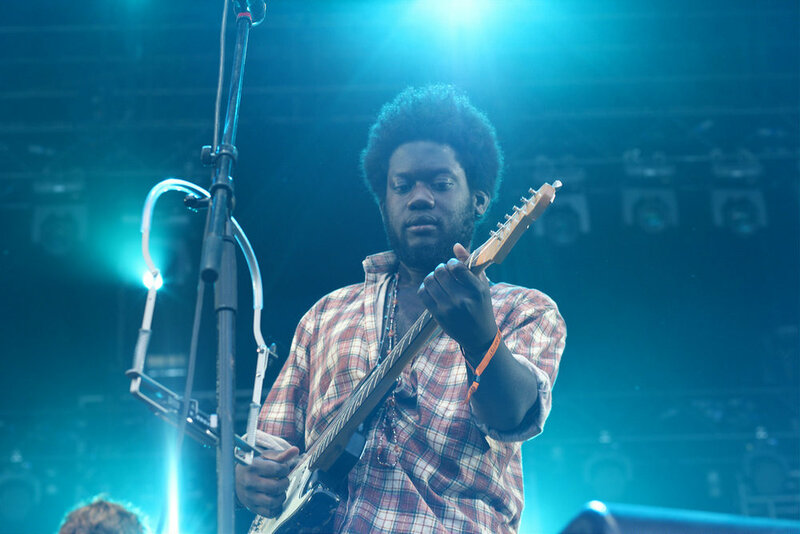 Michael Kiwanuka first appeared on the scene four years ago, and before receiving the BBC Sound of 2012 award, was critically acclaimed for his sensitive commentary on internal emotional turmoil and identity in his debut album Home Again. His most recent album, the Danger Mouse-produced Love and Hate has been similarly well-received. He begins the acoustic set with ‘Tell Me A Tale’, raising his soulful voice beyond the walls of Truck and out onto the street. As he strums and sings, his voice is so immersive and captivating that we might as well be two people, sitting alone in his living room as he tells this story. He replaces the jazzy-brassy hooks on the album version with his own low, husky humming. Even without a band backing him, he shifts the mood in this song between the melancholic verses and the relaxed, soothing chorus, using just the emotion in his voice. Few artists can create such ambience with just a voice and an acoustic guitar. Unlike the rich production on Love and Hate, here we see the raw beauty of his lyricism which is undoubtedly the backbone of the album’s atmosphere. His voice is reminiscent of Otis Redding, his lyrics echo Bill Withers, and the blue and hypnotic melodies convey a sense of vulnerability. Singing with eyes closed, he seems oblivious to the audience, but simultaneously so connected to the song, and we hang on his every word. People walking down Cowley Road stop on the street corner outside, their attention drawn to the music. Even a builder’s van stops for a minute longer than it needs to before it pulls up at a junction, and its driver comes up to the window to listen to the music. Kiwanuka recently performed a set for BBC Radio 1’s Live Lounge, and as he gains greater recognition and acclaim, the Truck Store is seemingly an unlikely venue for someone with as much support and backing as he has. But before launching into ‘Rule the World’, he tells us how much he loves record shops and encourages the audience to support independent stores like Truck. His lyrics are simultaneously comforting and heart-breaking, his accurate commentary on our time is so fitting for today’s world, and yet his music possesses a timeless ring which suggests that it could have been written decades ago. His love songs are universally poignant and the dream-like rasp of his voice translates effortlessly from album to live performance. Kiwanuka prompts the audience, largely made up of music loving students and locals from multicultural East Oxford, to start clapping the intro to the single ‘Black Man In a White World’, and aware of the irony of his message, they oblige. As he starts strumming , the punching refrain elicits nervous laughter from some of the audience before it carries out onto the street. Two black men on the street outside, peer in to see Michael Kiwanuka singing on a stage in front of a predominantly white room, and grinning, they walk on by.